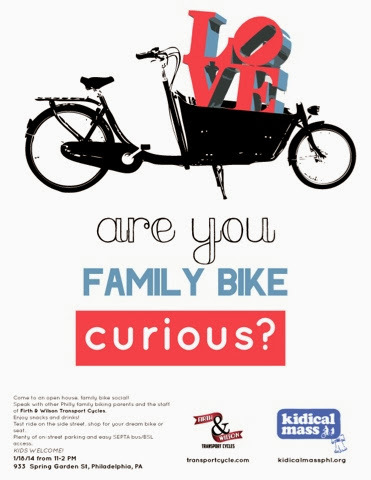 bikeMAMAdelphia: Curious about Family Biking? It's cold and my street is currently a hill of ice so I'm buried in for at least another day. We are catiously watching the weather for Kidical Mass on Saturday. Although it looks like we might have to go with the rain date 12/21! It will be updated on here and all KM social media once we figure it out. 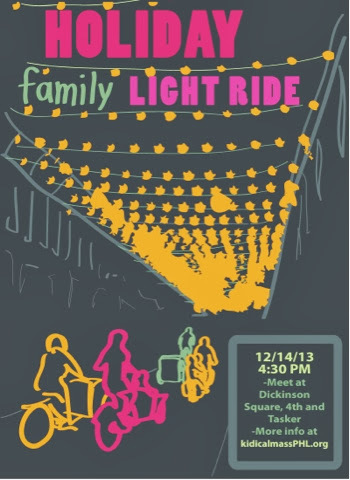 Looking forward to January, Kidical Mass Philly is excited to bring together an event for those thinking about biking with kids! This event is open doors to those who already do bike to those just trying to figure it out. No pressure and no fears. Just some crazy bike people excited for you to check it out.